James Spader on The Tonight Show Starring Jimmy Fallon. Credit to The Tonight Show. 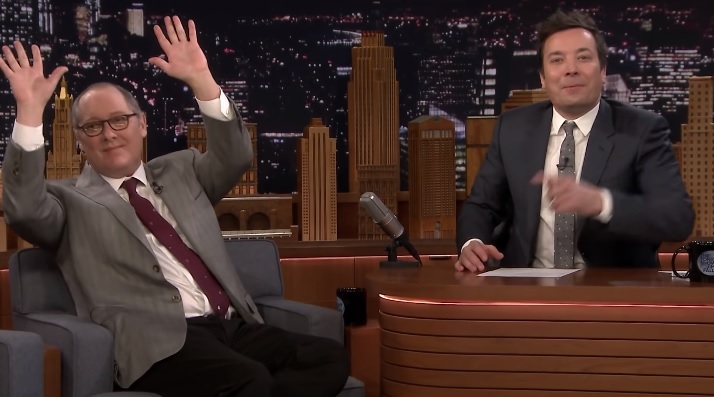 Last night, James Spader, who plays Raymond Reddington on NBC’s The Blacklist, was a guest on The Tonight Show Starring Jimmy Fallon. In the clip below, Jimmy asks James about The Blacklist. James explains that at the end of last season, everything was changed. But in the second episode of this season (which we recapped here), everything changed again. He says that this season is “…driven by this catastrophic event” of Reddington getting arrested. Watch the clip and get a sneak peek of Friday’s episode!